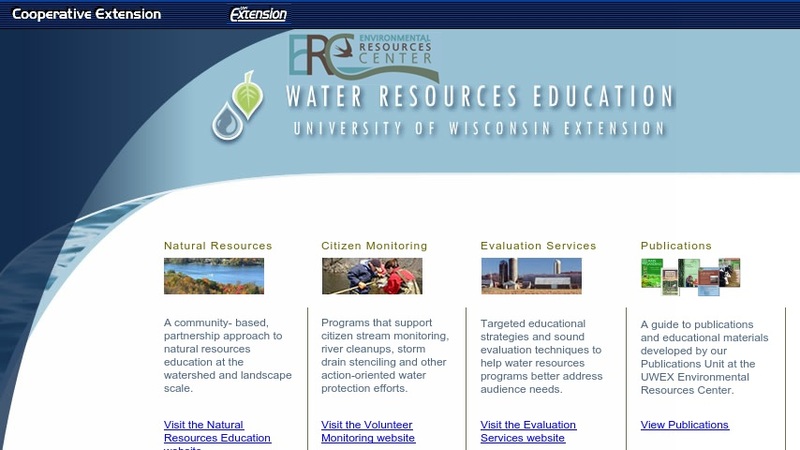 The University of Wisconsin Extension provides "information about water quality and natural resources education programs in Wisconsin." Users can find out about monitoring the water quality of streams, river cleanups, and other volunteer projects. Teachers can learn how to educate their students about runoff pollution through the construction of a watershed model. The website presents numerous water related initiatives including the Multi-Agency Land and Water Education Grant Program, Give Water a Hand for young people taking action in their community, and the Landowner Assessment and Project Evaluation (LOAPE) Program.